By popular demand we introduce the NEW Foaming Sugar Whip Body Scrub. A creamy blend of fine grain Sugar, Shea, Cocoa, Coconut Oil and Vitamin E. A combination that leaves skin soft and silky, not greasy or heavy. 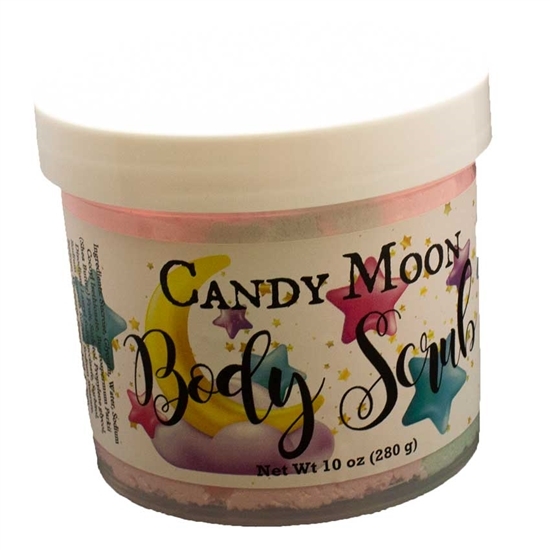 No gloppy mess or runny oils, this creamy scrub is scoop-able, foaming and feels extremely luxurious on your skin. Spread onto dry skin for heavy exfoliation or spread onto wet skin for a lighter exfoliation. This creamy soft blend is a cinch to use. For best results start by applying a small amount to dry skin. Rub and massage gently in a circular motion until the sugars start to dissolve. Add a bit of water and continue to exfoliate, then rinse with clear water. For a softer exfoliation add a small amount to damp skin and rub until sugar begins to dissolve. Rinse with clear water.